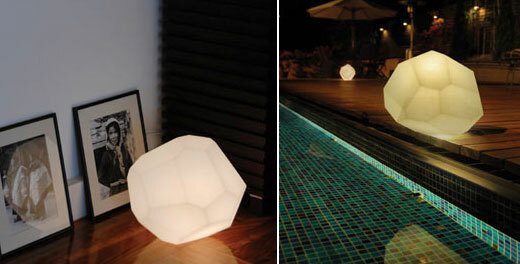 Asteroid Lamp Hits Living Rooms: Activate Hyperspace! 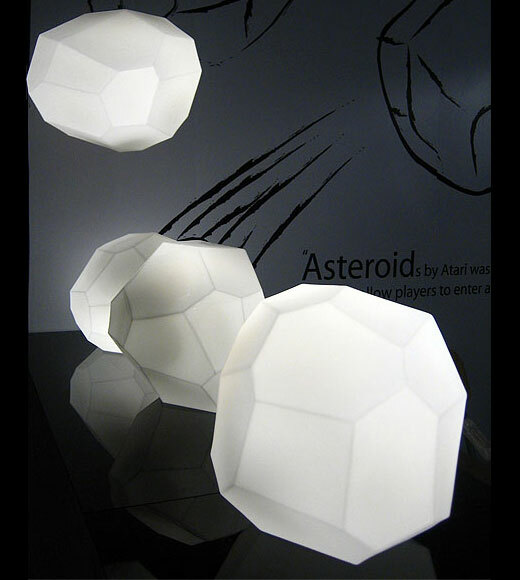 Pay tribute to one of classic arcade games of all time with these Asteroids-inspired lighting fixtures. Each lamp is comprised of 24 facets, each slightly different in size and shape – which makes them look really cool when placed in multiples and set on different sides. They measure about 12″ in diameter and about 11.5″ high and their unique design allows them to be used as a floor or table lamp, or even hung from the ceiling as a pendant (with an optional kit). Designer Koray Ozgen of UK lighting maker Innermost initially created a hand-blown glass version of the Asteroid lamp, but realized that a durable plastic model would be ideal for use indoors our out.